Tip: Prepare Dressing 20 mins before serving. Wash all lettuce leaves and drain off all water. Place lettuce leaves into salad bowl together with thinly sliced onion. In a bowl place Crumbled Feta, sliced Red Onion, and chopped Dill add Red Kellys Tangy Traditional dressing and combine together and place into fridge for 20mins. 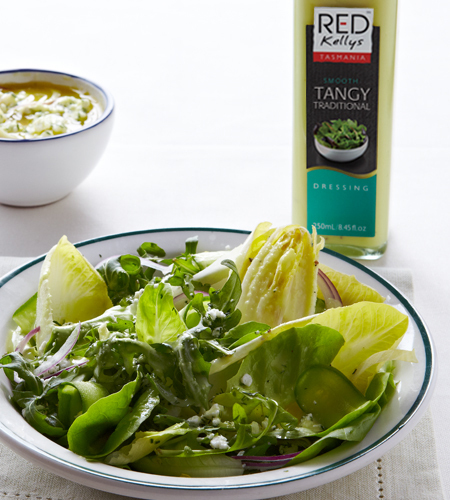 When ready to serve drizzle dressing over salad.